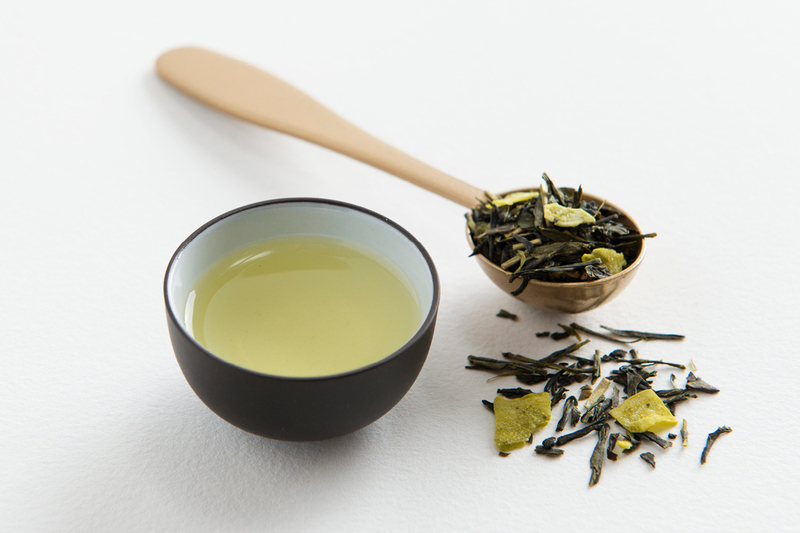 Australian Sencha green tea blended with chunky organic coconut pieces and natural lime flavour. This tea has crisp citrus notes combined with the silky taste of coconut. It’s refreshing and irresistible. Enjoy both hot and cold. 100g of Australian green tea, organic coconut pieces and natural lime flavour. Local and imported ingredients used. Contains some caffeine. No artificial flavours added. We don’t use synthetic chemicals or sprays to add flavour to our tea – yuck! The herbs, flowers, seeds and fruits blended with our tea leaves are either organic or wild harvested. Sometimes we also use naturally extracted flavours that have been crystalised into tiny grains that dissolve in hot water and release natural flavour. Or we use a drop of natural liquid flavour. In other words, there’s no nasties in our tea. Remove leaves from pot before drinking. Never use boiling water when brewing. This is my favorite. So sublime! It’s such a beautiful, refreshing start to my day. I’m addicted. Yum. Tastes like a pina colada. Great stating tea. For once a tea tastes as it smells! Fantastic.